The functionality and design of the calendar app on an iPhone are the reasons for its popularity among the iPhone users. The calendar app allows you to save and share events, create appointments and invite family and friends to the events. But some users are not aware of these features and so they ask “How to share calendar on iPhone”. If you are using iCloud service from Apple and have added Calendars for organizing something, you would like to share it with others. In this article, we will show you how you can do that in simple steps. 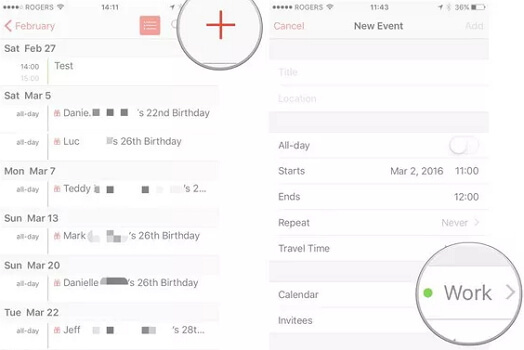 Step 1: Open Calendar app on your iPhone and tap on Calendars that is at the center bottom. Step 2: Under iCloud, tap on “i” near the calendar you want to share. 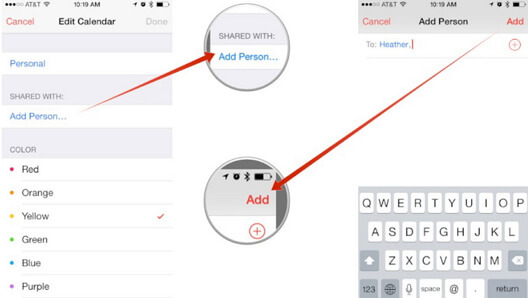 Step 3: Under Shared With section, tap on Add Person. 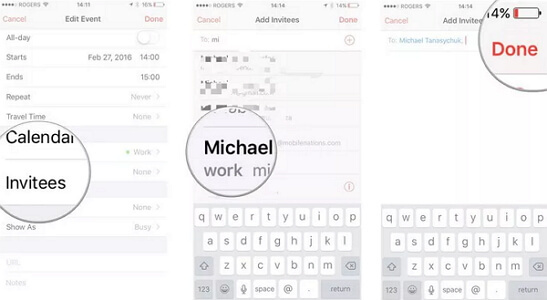 Step 4: Now you just have to add the person with which you want to share the calendar and tap Add. Step 5: After finishing, tap Done, which can be found in the upper right corner. Now, you will able to share an iCloud calendar with all the people whose iCloud account you have added. You can also share an iCloud calendar publicly on Apple’s website. Everyone can look at it but no one can edit it. Just follow the steps given below. Step 2: Under iCloud, tap on “i” near the calendar you want to make public. Step 3: Scroll down and toggle on Public Calendar. 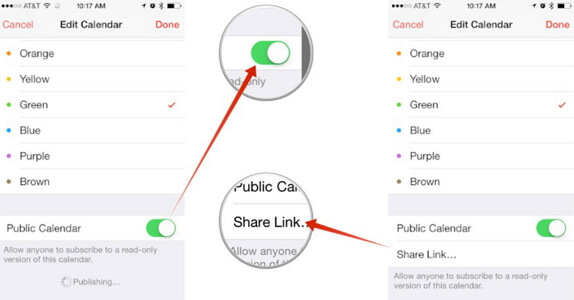 Step 4: You will see “Share Link”. Tap on it to make the calendar public. When the process completes, everyone will be able to see it. If you want to stop sharing the Calendar, just toggle off “Public Calendar”. Using the Calendar app on your iPhone, you can also share it privately on iCloud.com. Step 1: In the Sidebar, click Share button at the right side of the calendar. Choose Private Calendar. Step 2: In the Add Person field, enter the email address of the invitee and press Enter. Step 3: A pop-up menu will appear when you click on the invitee’s name. Select access privileges – View & Edit or View only. Step 4: Keep repeating the second and third step for every person with whom you are sharing the calendar. Step 5: After inviting everyone and setting their privileges, click OK. From your iCloud email address, invitation emails will be sent to all the specified participants. To save the environment, many people are reluctant to print out cards and distribute them to the guests. So, what is the other option? Now you can safely create and share your personal event with your guests in your contact list on your iPhone. The procedure to share an event in the calendar is given below. Step 1: Open Calendar app on your iPhone. Step 2: Create a new event or choose an existing one. Step 3: Tap on Edit that can be seen in the top right corner of your screen. Then tap “Invitees”. Step 4: Now, add all the email addresses and contacts of your guests with whom you want to share the event. Step 5. Tap Done and the process will complete. All the contacts and email addresses will receive your invite. Family Sharing is a great feature on an iPhone. With Family Sharing, you can easily share the calendar, iTunes, iBooks and iCloud storage plan with your family members up to five in number. If you want to share the calendar on iPhone via family sharing, follow the steps below. Step 1: Open Calendar app on your device. Step 2: Create a new event by tapping on the ‘+’ icon or choose an existing one. Step 3: Tap Calendar and then tap the calendar with the name Family. Step 4: Add all the details of the event and save them. 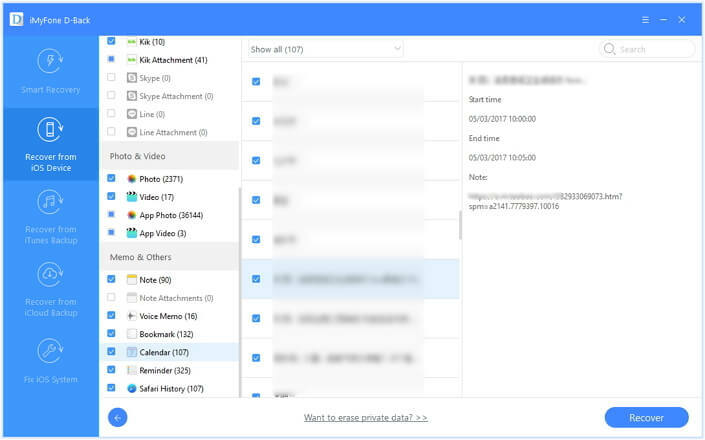 No matter how careful you are, you can lose the Calendar data of your device. It can be frustrating for you to lose the data of your calendar. But there is a professional data recovery tool that can easily recover the data in case you lost it. 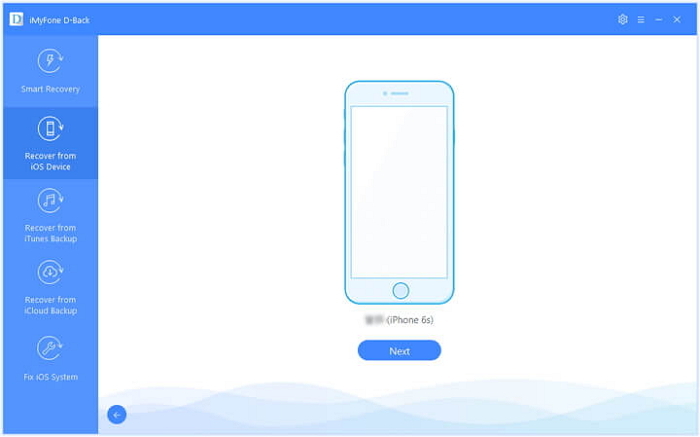 iMyFone D-Back is one of the most trusted data recovery tools for recovering the lost data of your iPhone. Regardless of how you lost it, D-Back will securely recover the entire data of your iPhone. Follow the steps given below to recover the calendar on your iPhone. Step 1.Open D-Back on your computer and click on “Recover from iOS Device”. Click “Start”. Connect your device to the computer. When it gets detected by the program, click “Next”. Step 2.Choose “Calendar & Reminder” under “Memo & Others” and click “Scan”. Step 3.Once the scan is finished, the recoverable data will be displayed. Choose the files that you want and then click “Recover”. 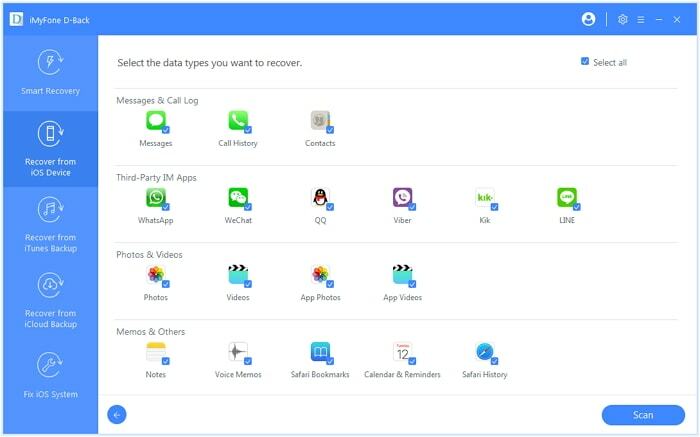 D-Back allows you to recover the lost data even if the backup is not available. Before recovering the data, you can also preview individual files on D-Back. You also don’t have to restore the entire data of your device via iTunes or iCloud. You can selectively restore the data using D- Back. If you are wondering how to share calendar on iPhone, then view the above methods carefully. We have given all the possible solutions for sharing the calendar with others. If you are having any difficulty in understanding the methods or if you have any other methods, feel free to share your views in the comment section below.